Human capital is possibly the single biggest determinant that helps organizations achieve sustainable corporate growth. It shouldn’t come as a surprise that high-performance organizations invest heavily in training, upskilling their employees, and creating environments where they are poised for success. However, with growth comes the related question of how to scale employee training across the organization so that all employees are well equipped to contribute effectively to the organizational growth and success. This exercise often requires a re-think of the training delivery that is already in place. 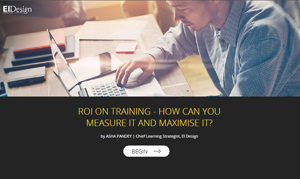 Often, the existing training may be delivering results currently but may not be best suited with aligning to the growth the organization seeks. As the organization adds more employees and grows across geographies, the existing face-to-face induction and onboarding program will now be a challenge to deliver. Similarly, the existing week-long sales training at headquarters can become difficult to facilitate across larger and geographically spread out teams. Induct and onboard new employees quickly and in line with the business mandates. Improve productivity through personalized training that maps to a role, a region, or proficiency. Increase loyalty and improve retention. 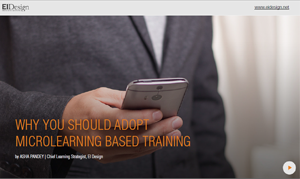 How Can You Scale Employee Training With Mobile Learning To Manage Your Growth? Quickly made accessible to all employees in one go, across geographies. Updated easily and redeployed in a shorter time. Used to create higher impact and focused training. For instance, personalized training that maps to a given role, a proficiency, or a region. Used for offering formal training, informal training, as Performance Support Tools, or job aids, as well as to supplement Instructor-Led Training (ILT). Used to promote social or collaborative learning. Used effectively to encourage self-directed learning. As we know, mobile learning is “learning on the go” and can be accessed by learners anytime, anywhere. From the employee perspective, mobile learning aligns better to the way modern learners wish to learn. 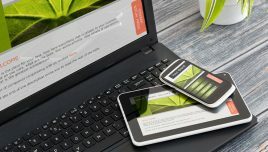 It offers multi-device support and gives learners the additional flexibility to learn on the device of their choice, ranging from smartphones/tablets to laptops/desktops. 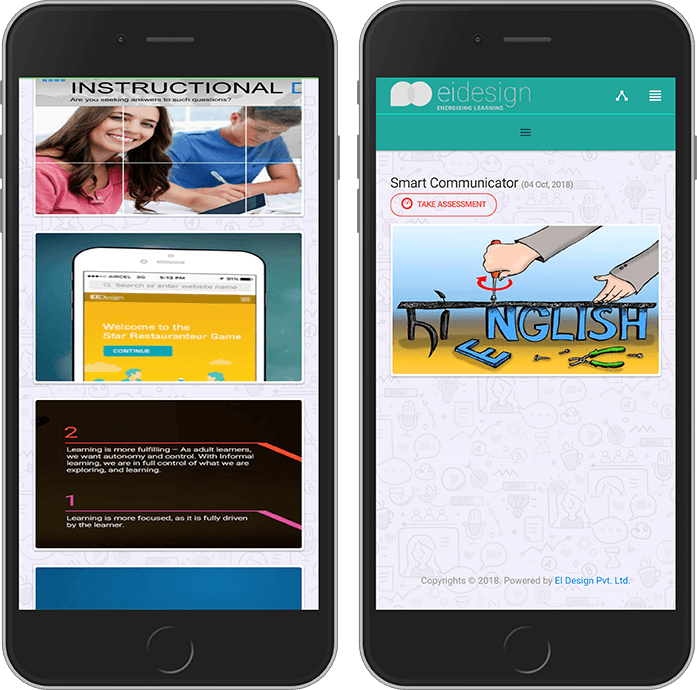 All mobile learning solutions work seamlessly across devices, and learners can resume their learning journey across devices. As a result, they can begin learning on the laptop during work hours but complete it on the smartphone during their commute. 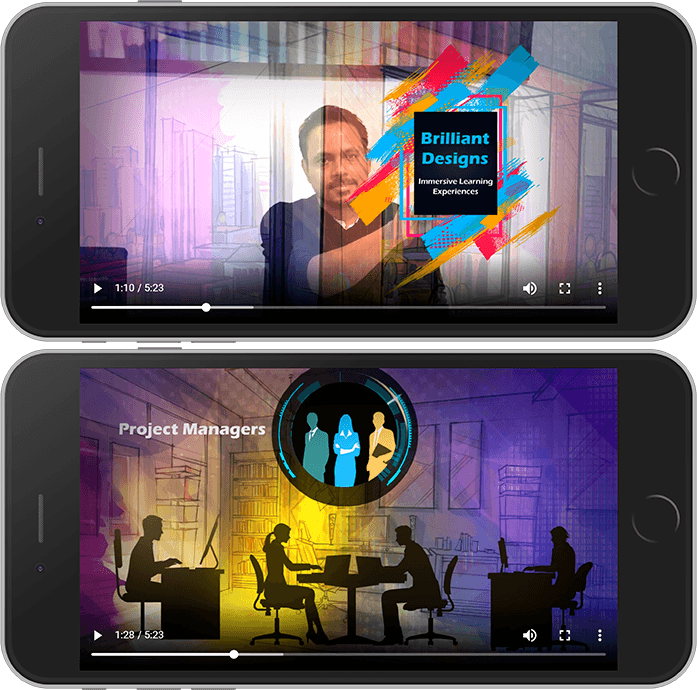 Let me show you how mobile learning can be aligned to your growth plans to induct new teams as well as upskill existing employees. 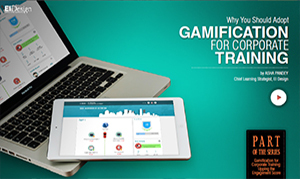 Essentially, you can leverage on the mobile learning approach to offer learning on the go, which can be taken anytime and anywhere. Additionally, you can package various kinds of trainings, formal or informal, in a learning path that is available to the learners within their workflow. As a podcast that employees can listen to when they drive to the office or head home. As a microlearning nugget that they can consume as they commute. As a video that they can review between meetings or waiting in the conference room for a meeting to begin. As a just-in-time learning aid or job aid in the form of a checklist that they can use before making the submission and ensure the process conformance and quality mandate is met. As a refresher nugget so that the forgetting curve can be offset. As a challenge or quiz that keeps learners on their toes and encourages them to refresh their knowledge. As practice exercises that can help them practice in a safe environment and gain mastery. 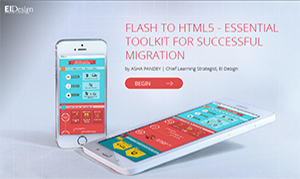 You can offer training in a mobile learning format featuring learning strategies that align with the learner’s need to consume learning on the go. Additionally, it can be designed to be personalized, and thereby easy to learn and apply. 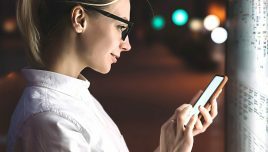 With this approach, you will be able to relate to how easily you can scale your employee training with mobile learning. 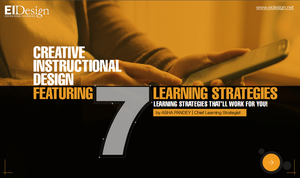 Meet Ashley, an Instructional Designer. She likes to use her phone to browse content, and she is a strong believer in learning via modern technology. 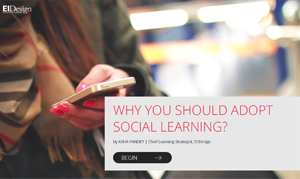 Let us see how she uses mobile learning for her various training needs throughout the week. 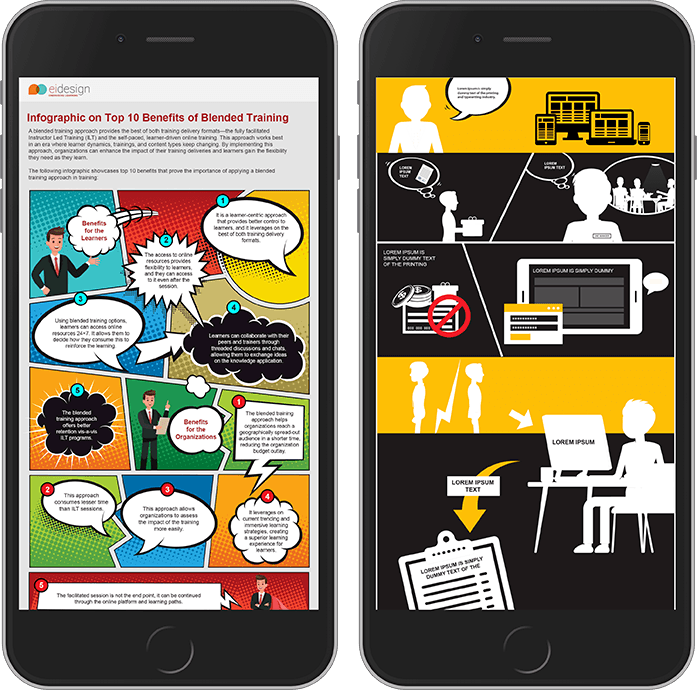 Monday – While commuting to the office, she reads tips and benefits of blended training in an infographic format. This is an example of how you can scale your employee training with mobile learning featuring Performance Support Tools or job aids. Tuesday – While waiting for a meeting in the conference room, she takes a short nugget featuring a decision-making scenario simulation to refresh her knowledge. 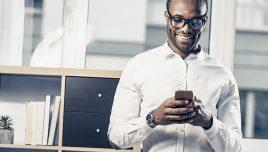 This is an example of how you can scale your employee training with mobile learning featuring a microlearning nugget facilitating the application of acquired learning. Wednesday – She watches a new innovative video format while working on a script for a new project. 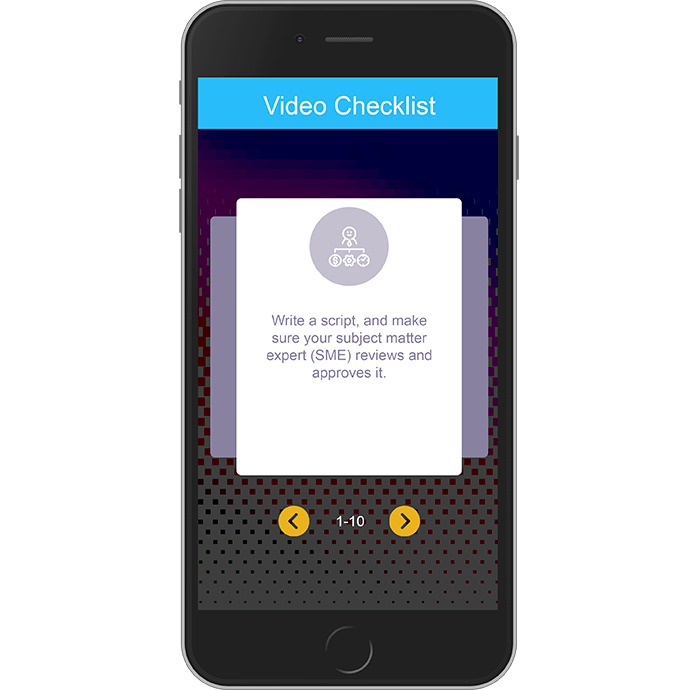 This is an example of how you can scale your employee training with mobile learning featuring a microlearning video. Thursday – She uses a checklist before making her submission to ensure the process conformance and quality mandate is met. Friday – She takes a refresher nugget so that her forgetting curve can be offset. 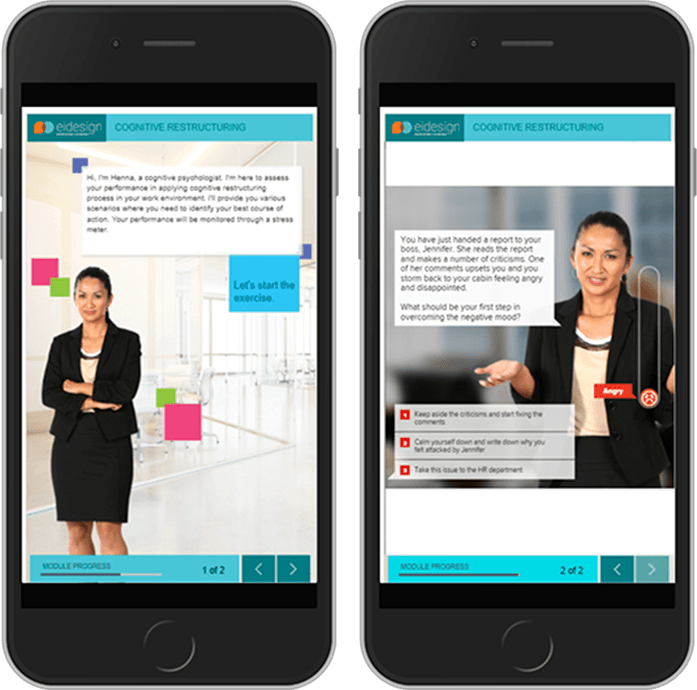 This is an example of how you can scale your employee training with mobile learning featuring microlearning. Saturday – She picks up some practice exercises that help her hone her skills in a safe environment and that also help her gain mastery. 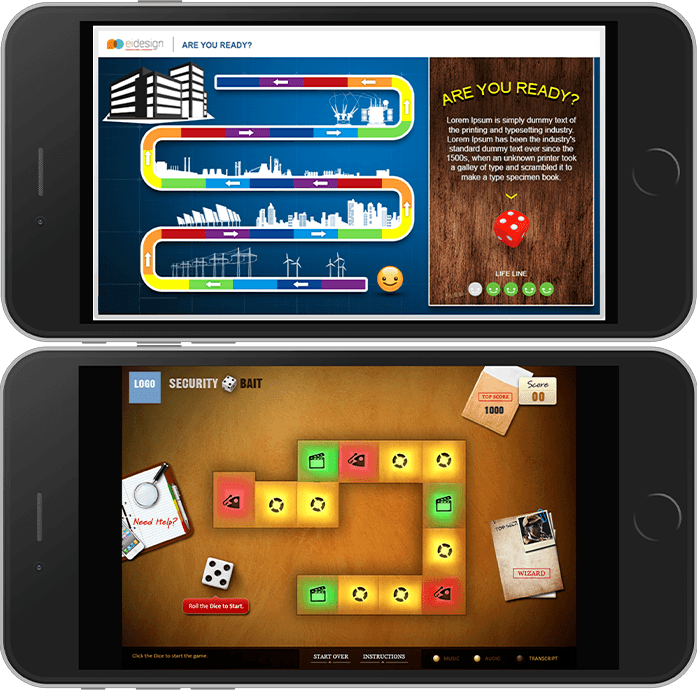 Sunday – She takes a game-based quiz to refresh her knowledge and to keep her learning up to date. 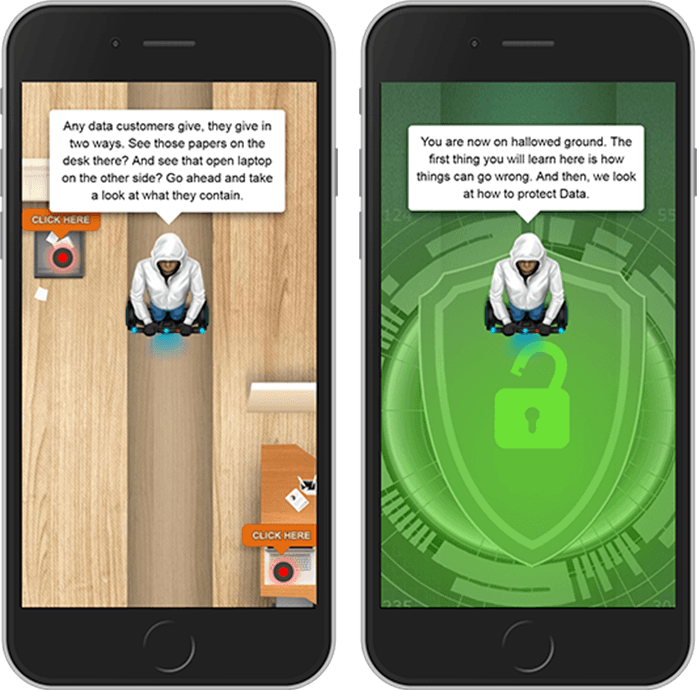 This is an example of how you can use mobile learning to scale employee training featuring gamification. Human capital is an organization’s most prized asset. Only well-trained employees can help organizations succeed and grow. 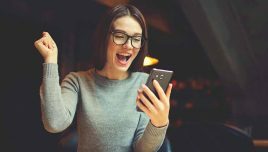 Mobile learning provides an effective and scalable approach to ensure that the employee training keeps pace with your growth. In contrast to face-to-face training, it costs lesser and can be deployed faster to a wider audience with a consistent message. Therefore, it demonstrates a better ROI. 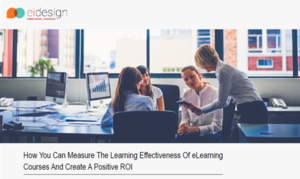 I hope this article and the featured 7 examples help you in your mandate to scale your employee training with mobile learning. If you have any queries or need any specific support, do contact me at apandey@eidesign.net.